Toop&Toop Blog: Australia’s #1 Real Estate Agency... back to back! Australia’s #1 Real Estate Agency... back to back! There are awards, and then there are awards. 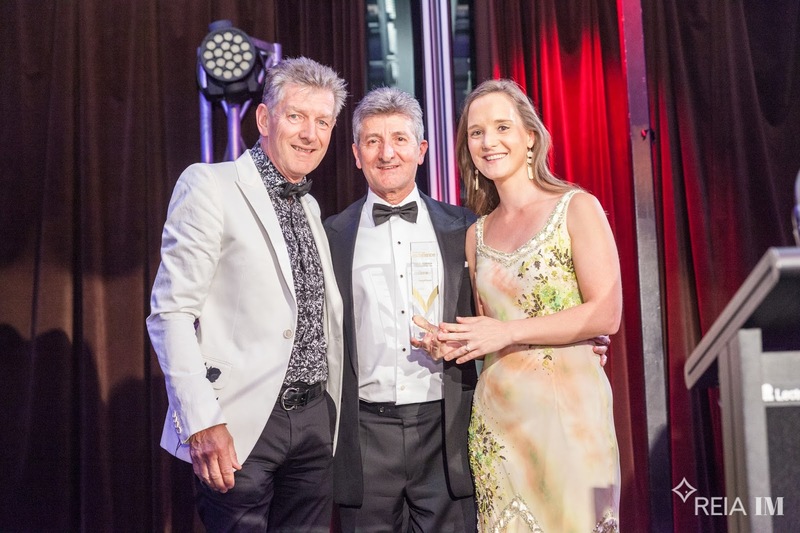 The Real Estate Institute of Australia's (REIA) National Awards for Excellence are the most highly regarded and respected real estate awards in the country. To be eligible you must first win at the state level and as the only independently audited awards, they are the Oscars of real estate. Last week these awards were held in Sydney and Team Toop was acknowledged at the highest level winning three out of three major awards, including being awarded Australia's #1 Real Estate Agency for the second year in a row! This is the highest privilege in Australian real estate. We were honoured to also be awarded Innovation of the Year and be inducted into the Hall of Fame for Communication after winning this category for the last three years. No other South Australian residential real estate agency has EVER won any of these awards in the history of the REIA National Awards for Excellence. We are truly blown away! With this track record, South Australia has certainly made a statement on the national stage. Many South Australian businesses, in various fields, have a reputation across the country as innovative and lifting service levels to customers. While we are getting on with embracing technology and new ideas here in SA, players in larger markets such as the eastern seaboard that have plenty of business to go around, risk being complacent and getting left behind. We were so honoured to be representing South Australian business on the night. Real estate, like any business on earth right now, is unsure where the future is heading. Our industry is ever-changing with new standards and efficiencies emerging through innovation and technology. It's not about removing the human element within a business. We understand that people want to deal with people and in a meaningful way. Technology and innovation for us is about transforming business efficiencies so that our team have more time than they have ever had to deliver a highly personalised service to our clients. We're excited to be leading the way in this field! For the first time ever, Toop&Toop has two generations working as one in the business. It's a very powerful combination. We have that perfect balance of experience and youthful energy. This has already seen some incredible changes and results so far in 2018! We are so proud of each and every one of our team members who continually strive for excellence. Their outstanding service to our clients, passion for innovation and ability to set new standards is world-class. We're also so thankful to the South Australian community and all of our clients for their continued support.